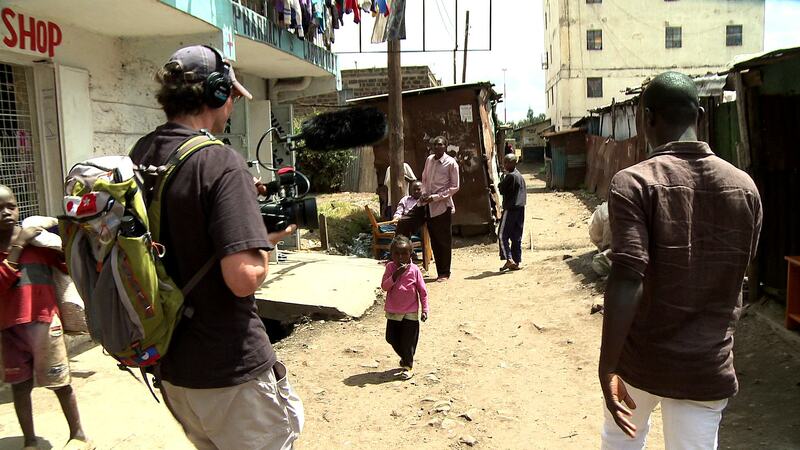 Peace in Our Pockets follows the inspirational Kenyan activists of Sisi ni Amani as they work to strengthen civic engagement, build democracy, and defuse violence in the lead up to the 2013 national elections. With cutting-edge SMS text-messaging and grassroots organizing the peacebuilders commit to transforming the very meaning of peace in their country. Watch the film now on Vimeo. We produced Peace in Our Pockets to be a catalyst for dialogue and social change around the world. The film showcases peacebuilders making a difference in their communities by combining the power and scalability of modern technology with old-school, people-to-people organizing. Harnessing the power of mobile phones and cutting-edge SMS messaging gives small groups of activists the means to punch beyond their weight. Visit our Build Peace page to learn more about how you can bring the film to your community and use a screening event as a catalyst for dialogue and action. Following the 2007 national elections, Kenyan politicians used text messages to incite violence and exploit long-standing tribal tensions. In response, thousands of activists across Kenya organized to counteract those who would tear their country apart. Sisi ni Amani (“We Are Peace” in Swahili) formed in 2010 to embrace the same technology in the pursuit of peace. Peace in Our Pockets explores the power of text messaging to educate, engage, and empower citizens in Nairobi’s informal settlements and communities across Kenya. The grassroots leaders of Sisi ni Amani include George Ooko, who brings a vision of peace that begins with mentoring children through music. Mary Njambi’s passion for women’s rights grew out of a childhood filled with domestic violence. She devotes much of her time to teaching and advocating for the girl child. Simon Kokoyo’s long walks from the informal settlements through Nairobi’s wealthy neighborhoods to his primary school opened his eyes at a young age to extreme inequalities in his country. He promotes human rights and development by using GPS technology to map community assets and needs. Musonik Wilson, a passionate pastor, adapts Sisi ni Amani’s model of peace work to defuse tensions around rural land disputes in the Rift Valley of Kenya. Rachel Brown, the American founder of Sisi ni Amani, works with the Kenyan activists to leverage the ubiquitous mobile phone for positive social change. Together they harness the power and scalability of text messaging to prepare citizens for elections under a new constitution, to organize unprecedented political debates, and to monitor tensions as the elections near. Peace in Our Pockets follows these peacebuilders as they expand their network beyond Nairobi, mobilizing thousands of new subscribers and ramping up their efforts to monitor tensions and potential conflict. As Kenyans go to the polls and the votes are tallied, the activists send out hundreds of thousands of peace messages. Yet they continue to look beyond the election cycle to the intersections of peace and democracy. Peace in Our Pockets will inspire audiences by illuminating creative uses of technology for social good. Its story showcases the power of individuals to improve their communities with creativity, dedication and grassroots organizing. The film is available on Kanopy, an on-demand streaming service for educational institutions. Students and faculty can preview and view the film here. Contact us if you would like to purchase the DVD. Thanks to our fiscal sponsor, the Southern Documentary Fund.